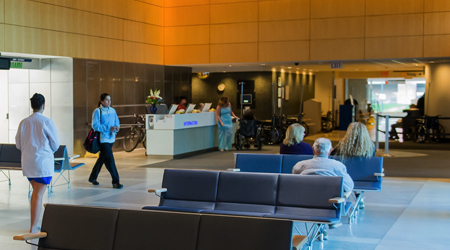 Massachusetts General Hospital was ranked among the top 10 in the world in Newsweek’s 2019 rankings of more than 1,000 hospitals. In addition to the global rankings, which ranked the top 10 hospitals in the world and listed 90 other hospitals in alphabetical order, Newsweek also ranked the best hospitals by country. The magazine explained that the scores awarded to each hospital are only comparable to hospitals in the same country. Newsweek’s rankings list the best hospitals in the U.S., Canada, Germany, France, United Kingdom, Switzerland, South Korea, Japan, Singapore, Australia and Israel.